Pag is becoming something of a hotspot in Croatia, what with the lively Novalja on the north of the island home to some of Croatia’s best clubs. There’s plenty to the island besides nightlife, however – Pag is also very famous for its lace and its cheese (paski sir), as well as its unusual landscape. Accordingly, there’s plenty of choices available for accommodation on Pag! Pag is easy to reach from the mainland – its southern tip is connected by bridge (meaning you can also travel to its towns by bus), and there are also ferries from Rijeka, to the north, and Prizna (only a 15 minute ferry ride away). 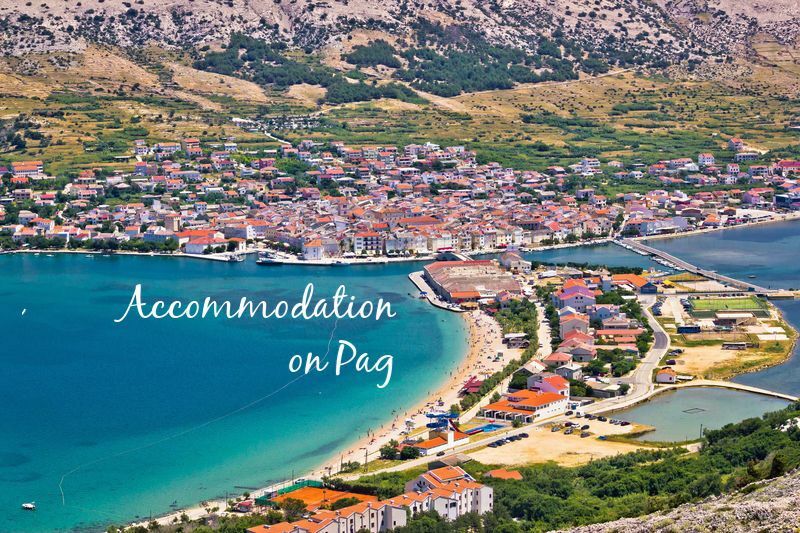 Use the search below below to look up accommodation on the island of Pag (you can use it to write in your own destination, such as Pag Town). Also see further below for a range of different accommodation on Pag in its two main resorts of Novalja and Pag Town. Click on the different tabs to see hotels under each star rating. The location of each hotel is given in brackets.